The IMR Acoustics R1, in theory, might be the perfect earphones. 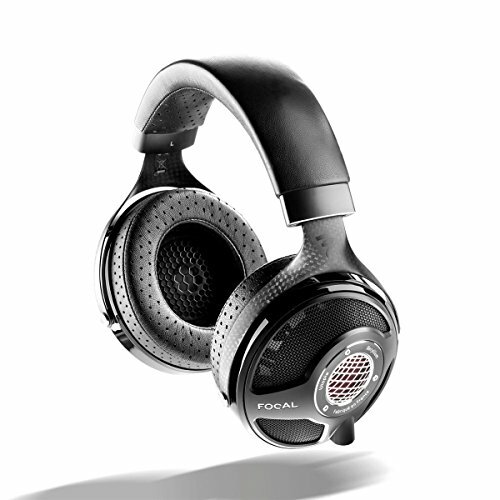 On paper it ticks all the right boxes, essentially they are trying to create an in-ear headphone that does everything. We have seen many variable filter earphones in the past from the likes of Audeo, RHA an FLC but what I haven't seen is one that can be used open and closed back. That's right the IMR has a port on it that allows them to be used vented or unvented and thus, in theory, the can create a wide range of sound signatures for portable audio fans. We have had this set of R1's in for review over the past couple of weeks and have found ourselves impressed not just at the versatility but also at the high standard that is maintained throughout so sound options. Let's get a little deeper. The Box for the IMR acoustics is pretty simple and unflattering. I like the Logo but the font choice on the back doesn't exactly scream high end. 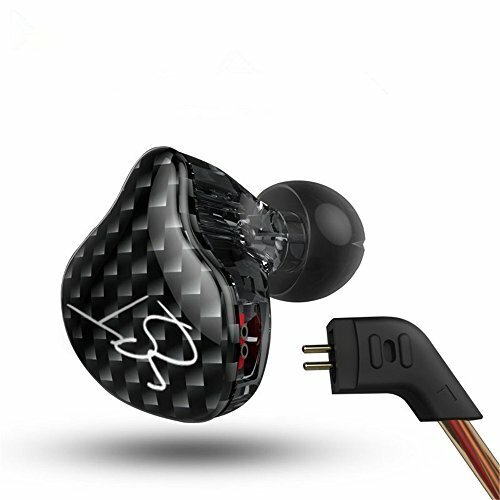 Inside the earphones are well protected, set inside a hard foam with the cables detached. When you start to get in the accessories there are quite a few so let's list them below. The build quality is excellent but the finish... not so much. It seems to me a very rough design and very, very industrial. Structurally they are extremely sound, they feel like they could take a small caliber impact and keep pumping out the tunes. However, it isn't hard to notice the imperfections to the finish when you get them to hand. What do I mean by imperfections? Well the finish on the earphones themselves are somewhat pitted and with a bit of a better polish, it could be made a lot less prominent. On the actual filter tip carry this lack of attention to detail is quite noticeable as the roughly cut aluminum hasn't been sanded at all and has some rough sharp edges. Does that mean I don't like them? Absolutely not, there is something charming about the industrial styling but if you put them side by side with a similarly priced earphone from say Campfire Audio then you see that aesthetically things could have been done better. If we are talking about longevity then I have absolutely no fears at all about them. Everything is made of metal and seems to be very hard wearing. Additionally, the filters were easily removed and machined well as was the venting disc that allows the IMR R1 to be used in open or closed mode rotates smoothly. The IMR Acoustics R1 is a monitor style earphone that is designed to be worn with the cable over the ear. This, of course, is my preference as I enjoy the extra security and a reduction in cable noise this style provides. I mentioned above that the R1 was industrial looking and I think most people would agree. Shiny metal vented grills and exposed Torx screws all make for an interesting looking IEM. When you add on a set of the colored tips they look even more interesting and I have already had a couple of people ask me what they are. Can this possibly be happening? Yes, it's a detachable cable (which is always appreciated and enhances the longevity of any IEM) with a 2 pin connector as opposed to the more common (nowadays) MMCX adapter. For me, this is great because I have a lot of aftermarket cables that I can use with the IMR. For most people, it will be a case of take it or leave it as both solutions have their benefits and drawbacks, I just have a preference for them. Now the cable itself is a generously thick rubber one. When I took it out the box it was awfully springy but just a few days later it wore itself in and now performs very well. It feels strong and robust and is a fitting match for the R1. Both cables are essentially the same apart from one is terminated with a balanced connection whilst the other has a standard 3.5mm Jack. Splitters are metal as is the slider and its all very high-quality stuff. Microphonics is a non-issue due to the over-ear design. The only thing missing is some sort of memory wire or built-in cable guide at the ends to better grip the top of your ears. The R1 are a bit of a beast of an earphone when you look at them. Certainly much bigger than my own Campfire Audio Lyra II but boy are they comfy. I was worried about the angular design at first but I really shouldn't have been as there are a few subtle touches that make them work very well for people with medium to large ears. Its actually quite genius and here are my observations. Firstly, insertion depth is damn near perfect, just a touch past mid-depth when setting correctly in my ears. This helps them remain secure and in place. Second, the leading Torx screw (the one that points forward when you have them in the ear) sits right on your inertragic notch and kind of locks them in place negating rotation. Thirdly the mount for the 2 pin connector is actually offset from the earphone meaning they are more ergonomically intuitive than you might have first thought. Finally, the fact that the inner side of the earphone is contoured and devoid of the sharper edges of the outer earphone, means there are no rough points of contact with your skin to cause irritation. On a whole, I found them very comfortable and secure, I didn't need to take a break due to fatigue at any point throughout this review. Obviously, the IMR Acoustics R1 can be used in open back and closed modes and both do make a difference in terms of isolation and sound leakage. However, it is not to the extent I had expected. I thought that when the vents were set to open that I would be able to hear everything outside and that everyone around me would be able to hear what I was listening to. In reality, with the vents closed the very little sound gets in and none gets out. They are excellent isolators and would be perfect for use in loud environments. With the dial set to open you don't notice too more noise coming in (although there is some) and if someone is sitting next to you they will hear some noise but nothing too extreme. For the purpose of this review, most of my listening was conducted on the Astel & Kern AK70 as I think that is going to be the kind of device that a buyer of the R1 will most likely use. . Needless to say, any moderately good DAP will put out some top-notch sound with these earphones and you shouldn't run into pairing issues. I also used them with the Xduoo X10, Opus #1 and a Lotoo PAW Gold, all unsurprisingly made the R1 sing. However, you really don't even need an audiophile DAP to get great sound from these earphones as hooked up to my Pixel 2 (yes with that trash adapter) or Surfacebook 2 they sounded incredible. *To date, there might be a polarity issue with some DAP's when using the balanced cable but I am assured a fix is on the way. To say I have been impressed with the sound quality of the IMR Acoustics R1 is an understatement and I mean that in the strongest possible terms. These things are absolutely insane to listen to and their ability to adapt and provide real useful interchangeable sound is unmatched. 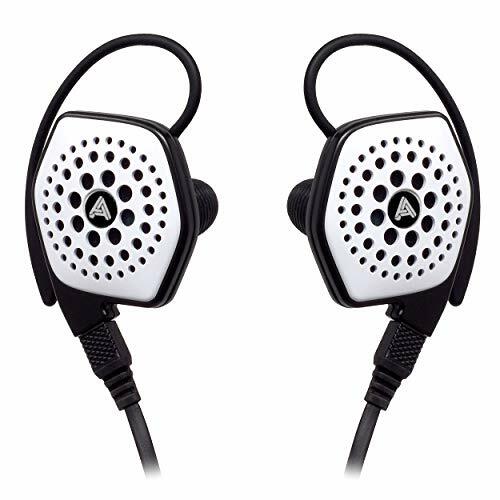 I have heard hundreds of earphones since starting this site and it is hard-pressed to pick another I like better and yes that includes my own Campfire Audio Andromeda & Vega as well as my Shure SE846. Now I am not saying they are better than those earphones but I think its fair to say they are on a par (sound wise) and their ability to be adapted to a completely different sound and become multiple different sets of high-end earphones in one really stands out. 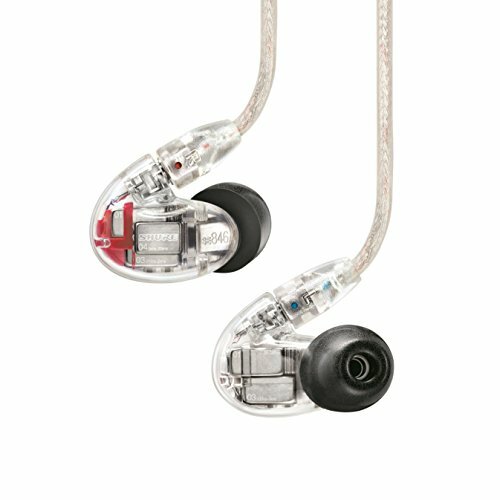 So where to start in reviewing an earphone that has potentially 10 different sound signatures? Well, to keep things nice and short I am going to give you my impressions of my two favorite modes. To be fair I could happily listen to any of the filters and thoroughly enjoy myself but 2 really stand out for the way I listen. None of the settings convey a perfectly flat and neutral sound, they are not for critical and technical listening. All have an energy and musicality to them so if you are looking for something flat sounding and studio reference like then I would still stick to the Etymotic Research ER4XR. For the rest of us, people who listen for the pure enjoyment of the music these are far better earphones to live with on a day to day basis. In years of working clubs in Shinjuku & Shibuya, Tokyo I developed a craving for insane bass. Mostly from the Industrial Electro and Psytrance genres. No greater a test of sub-bass can be found than from Angelspit and Chaos Royal and with the copper filters on these headphones will melt your brain. There is a copious amount of deep and textured sub-bass which is complemented with a super responsive attack. The earphones sound alive and charged full of energy that makes some similarly priced competition positively flat. These filters really are only to be used with the music that has an enhanced low-frequency demand but they just do it so well. Right now I can't think of a better basshead IEM on the market. Tamed but still present treble. Lots of detail but not as much sparkle as some of the other filters. A warmish midrange with lots of clarity and instrument separation. Less energy with the blue filters and sit back from the bass and the treble making them perfect for electronic music. Monstorous bass that is big and beautiful yet retains composure to convey big quantity sub bass and fast speed. So then we have the blue filters. Stepping from the coppers to the blue filters is such a marked difference that you have to wonder how they pulled it off. As mentioned I have had a few multi-filter IEM's, the best of which being the FLC model we reviewed last year. All of them had a similar sound when switching filters and the most marked changes came from the amount of low-end grunt. The blue filters completely shift the weight of the signature. The energy and musicality remain but the top end becomes far more prominent, sparkly and forward. Mids also take a step forward especially strings and vocals. There is lots of detail in the midrange and imaging is just insane. Lykie Lie on her track Time in a Bottle or the Magicians Remix on her track Follow bring to light the excellent mix of highs and lows. 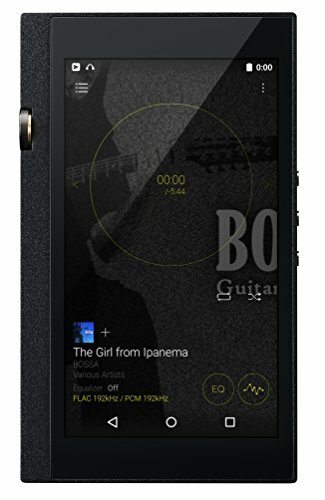 Yes, the low end is still very prominent but it tightens up its attack, has more focus on the mid and upper bass frequencies. As a sibilance test, we ran Caranvan from the whiplash soundtrack and both the trumpet solo and snares on the peak really impressed. Just a quick overview of the soundstage. With all of the filters, the soundstage is huge, one of if not the best I have heard in an in-ear headphone. It's full and expansive and displays a touch more with than depth. Really it's worth getting them just to try out the blue filters with the vents set fully open and throw on your favorite concert tracks. Imaging is, of course, once again very very good. You will have no problem finding separation and placement of individual notes and tones. 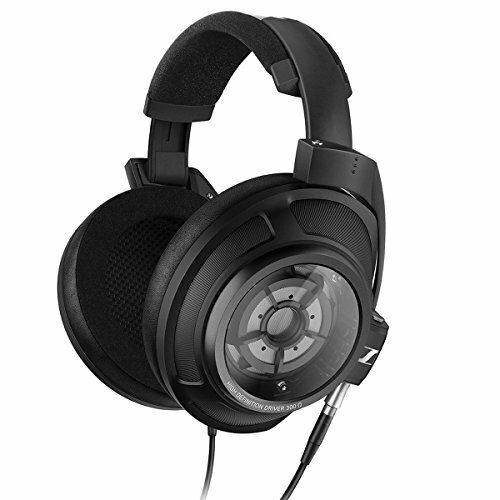 Its hard to believe I am actually being so positive about a headphone right? The thing is that these things sound so good they thoroughly deserve there place in the top tier of in-ear headphones. Not in the sense of "hey these are giant killers, they sound as good as earphones twice the price". No these stand on their own right at the top end of the market and the fact that they cost half the price is just a bonus. 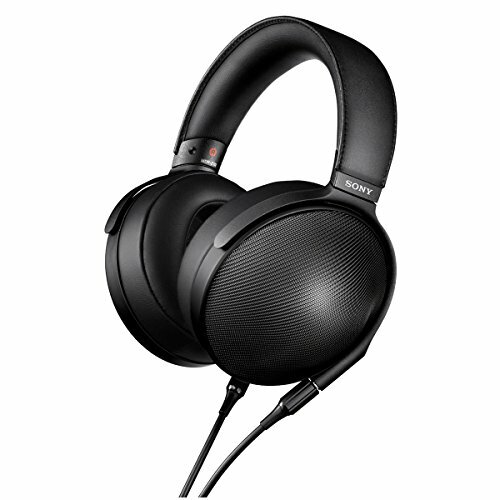 I evaluated them as a top tier earphone not as looking for something that represents a cheap way to top tier sony. You may lack some refinement in the style and design of the earphones against some of the other big names in the audiophile market but they do not give an inch in sonic performance. If you like an energetic musical sound, lots of details, listen to a wide variety of genres and want big soundstage then these are probably right up your alley. Truly this is a huge surprise for me, it has been a long time since I have found myself so enthused about any IEM. These things are undoubtedly special and despite the rough external appearance the level to which the performance is unquestionable. The ability to refine the sound on these is far more than a gimmick like it is on other earphones and that gives you the ability to have multiple earphones in a single device. There is not really much more I can say other than maybe comment on the price. The R1 are available direct from IMR Acoustics for £500 GBP ($700). That's a steep price but sound wise I would compare them against the most top of the line universal IEM's from other brands like Shure and Westone. 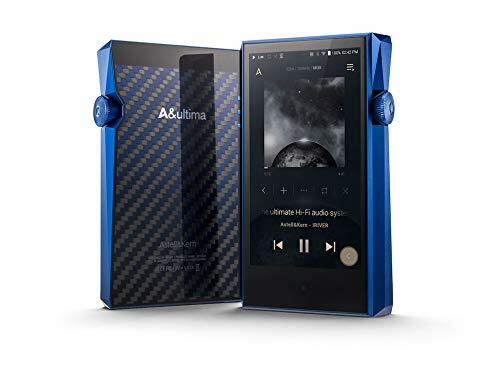 What you lose is name brand recognition and styling/finish but considering those earphones hover around the $1000 I personally think the savings and versatility are worth peaking your interest. Needless to say I love these earphones and I think many people who pick them up are going to have a big grin on their face soon after they arrive. There's no way of jumping around this issue as the owner of IMR has been quite a prominent figure on message boards and a few of you have already mailed me asking questions. The owner did work with Trinity Audio as a consultant (Not owner). Trinity ran into troubles leaving many customers out of pocket and without product and from what I have been told he was extremely upset about this and it was out of his control. He then went on to found IMR. I have been told that IMR is absolutely his own project and nothing to do with the team behind Trinity. From looking at it from a standpoint of the interest of my readers then I don't see any issue ordering a set of IMR Acoustics R1. The earphones are in stock and ready to ship immediately. This is not a preorder situation nor a Kickstarter, they have a physical product are a seperate company and are ready to deliver. Update: From what we can tell lots of people now have the IMR-R1 in their hands and they are loving them. It really is one of these special headphones. For those of you struggling with the price a reader got in touch to let us know that IMR are now also offering B-Stock with slight cosmetic imperfections or open box with a substantial discount.